DC Comics reveals its new young imprints comic book line will be a part of the upcoming Free Comic Book Day Event as Dear Justice League and Under The Moon: A Catwoman Tale will be released. DC announced today the publisher will showcase its upcoming young reader imprints – DC Ink (YA) and DC Zoom (middle grade) - at this year’s Free Comic Book Day (FCBD) on Saturday, May 4, 2019. DC’s free comic book offerings will include early looks at UNDER THE MOON: A CATWOMAN TALE (DC Ink) and DEAR JUSTICE LEAGUE (DC Zoom). 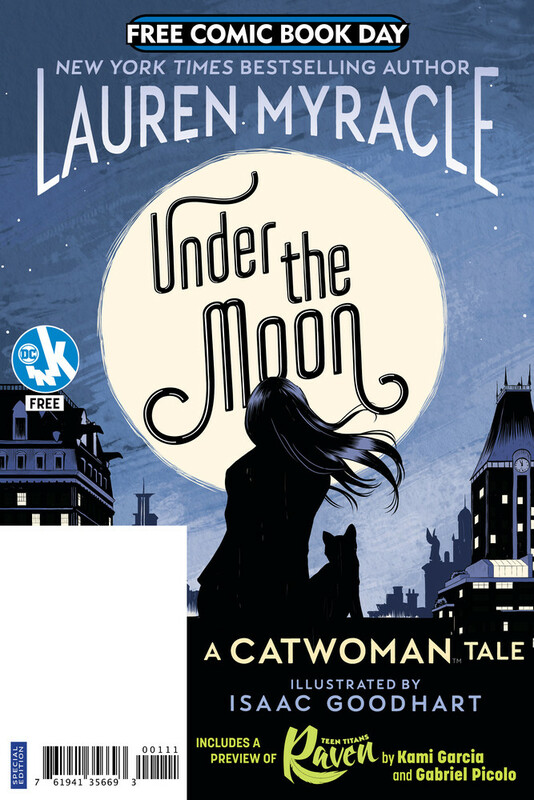 UNDER THE MOON: A CATWOMAN TALE FCBD SPECIAL EDITION will serve as DC’s Gold Title at the annual event and will feature a free chapter from the upcoming YA original graphic novel by New York Times bestselling author Lauren Myracle and artist Isaac Goodhart. The full graphic novel is slated to hit stores everywhere books are sold on May 7, 2019. This FCBD special edition will also include a sneak preview of DC Ink’s upcoming TEEN TITANS: RAVEN graphic novel by New York Times and USA Today bestselling author Kami Garcia and fan-favorite artist Gabriel Picolo which will hit shelves on July 2, 2019. 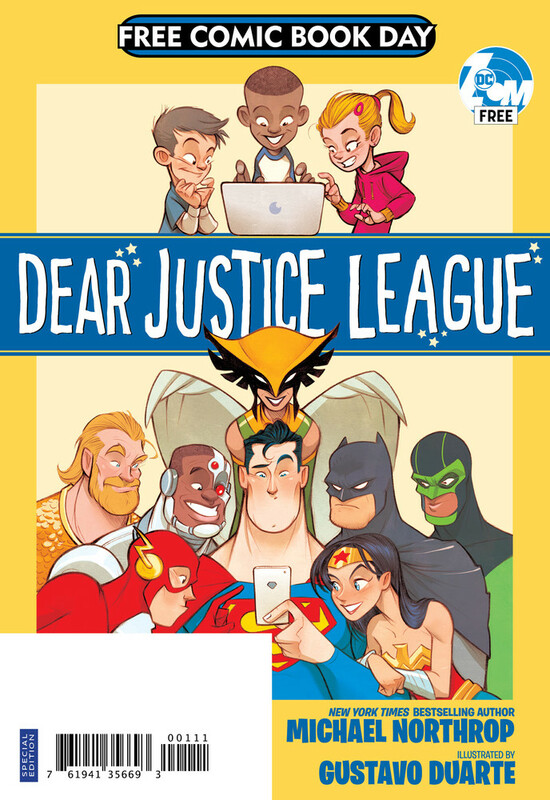 DC’s FCBD silver comic book will be a kids title featuring two exclusive free chapters from DEAR JUSTICE LEAGUE, an original graphic novel for middle graders from New York Times bestselling author Michael Northrop and artist Gustavo Duarte. The DC Zoom graphic novel is slated to hit stores everywhere books are sold on August 6, 2019 and the early FCBD special edition will feature two excerpts starring Superman and Hawkgirl. When fifteen-year-old Selina Kyle becomes homeless, she must confront questions of who she is and who she will become. From New York Times bestselling author Lauren Myracle (ttfn, ttyl) and artist Isaac Goodhart, comes a story about a teenage Catwoman as she struggles to find her own identity while living on the streets of Gotham City. This FCBD special edition features a chapter from DC Ink’s upcoming original graphic novel, UNDER THE MOON: A CATWOMAN TALE plus a sneak peek at TEEN TTIANS: RAVEN, another DC Ink graphic novel by New York Times and USA Today bestselling author Kami Garcia and artist Gabriel Picolo. The greatest Super Heroes in the DC universe, the Justice League, answer mail from their biggest fans--kids! Courtesy of Michael Northrop, the New York Times bestselling author of TombQuest, and artist Gustavo Duarte, DC’s iconic Super Heroes find time to answer questions both big and small when they are not busy saving the world. Their honest and humorous responses will surprise and delight readers of any age, as it turns out that being a superhero is not too different from being a kid. This FCBD special edition features two chapters starring Superman and Hawkgirl from DC Zoom’s upcoming original graphic novel, DEAR JUSTICE LEAGUE. Superman: Year One Announced By Frank Miller and John Romita Jr.